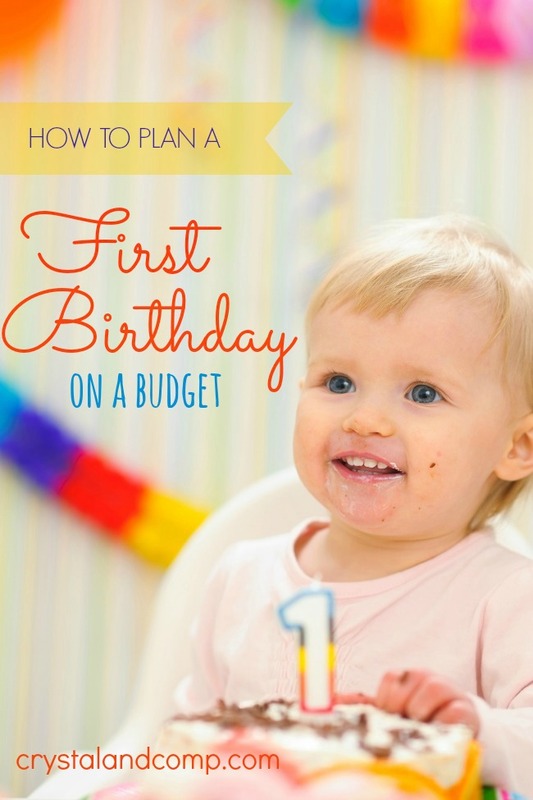 Since first birthday parties are often charged with emotion, a party budget isn’t a bad thing; the budget governor can actually help you in planning! On my blog, Spaceships and Laser Beams, we specialize in parties for boys (and non-frilly girls! ), so I’m familiar with birthdays in all sizes. 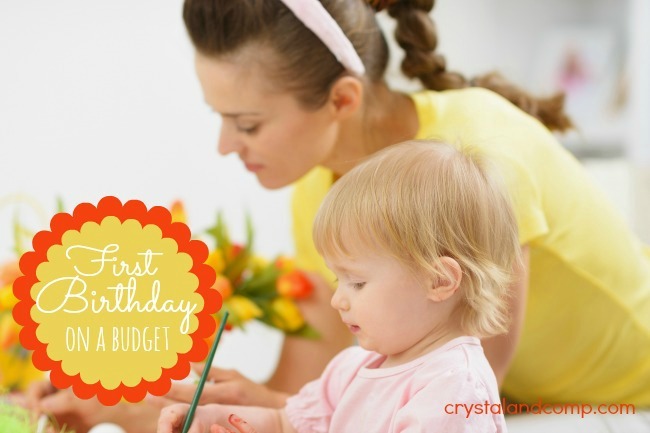 If you don’t want your child’s first birthday party to take the place of a future college fund, I have some ideas to help you plan a birthday party on a budget so it will look like a million without costing that much. Invitations, decorations, food, and party favors are the areas you’ll need to cover. Decide what is the most important facet of the party to you and that’s where you’ll spend the most. For a first birthday celebration, guests are likely to be family and close friends so an invite via phone or e-mail will cut out the expense of invitations and postage. Once you’ve decided on a theme, a way to ramp up the wow factor is to coordinate decorations, food choices and party favors. That consistency helps the party make more of a statement. For example, if you decide on a jungle theme, you might use lots of greens, browns and animal prints. Your food choices could include zebra parfaits, caramel paw prints and savanna clouds (meringues). The party favor could be something simple like a monkey shaped cookie in a favor bag or buy a tube filled with miniature animals and distribute the contents between youngest guests. A focus on the food/dessert tables yields lots of interest! If you’re not sure how to arrange your tables, study pictures of parties that appeal to you and interpret those ideas in your party. Generally, the birthday cake (or cupcake tower) is the focal point of the table. Call attention to it by making it the tallest item on the table using pedestals; an actual cake pedestal or a sturdy display box will do the trick (be sure to cover a box with paper/fabric that coordinates with party colors). Multiples of anything grabs attention, and although both sides of the cake display need not be mirror images, a symmetrical arrangement is most pleasing. Colorful balloons almost always show up at birthdays, but don’t stop there. Garlands and pennants, both paper and fabric, can front a table or crisscross a room. They are not difficult to make, nor do they have to be expensive. Continuing with the jungle theme example, a leafy green garland embellished with monkeys could add lots of interest. You might find jungle animals right in your child’s toy box. Hang inexpensive animal picture posters or get creative and make animal images. Simple line drawings of several jungle types would be effective as would a collection of paper plate animals. 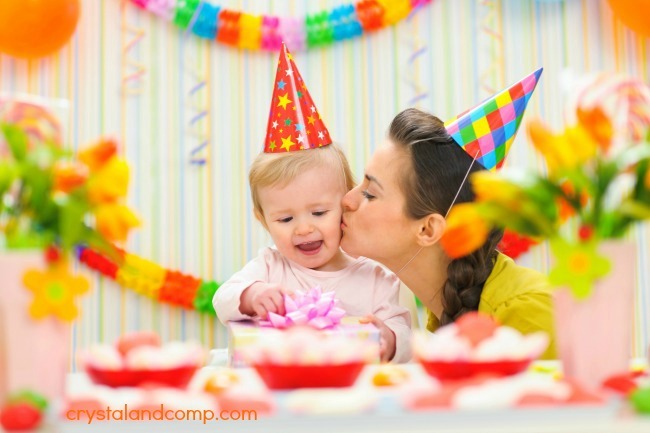 The bottom line of a successful first birthday party is to make it meaningful for your family. Be consistent with all party elements and remember to take lots of pictures! What theme will you choose for a first birthday party? I love this! But I would really REALLY like details and pictures of your over-the-top birthday party! Love your blog and glad I found you on Pinterest! If you have a chance to take a look at my blog I would love your thoughts! Cheers! Another really good post (I enjoyed your last one too “buttermilk pancakes from scratch”.) For my daughter’s first birthday we did a “Winnie The Pooh” theme and she loved it. We also had some fun with her. We gave her a piece of chocolate cake and let her “have at it”. She laughed and enjoyed it so much. Of course she had chocolate frosting all over her face (I mean ALL over), and in her hair. So we just picked her up and put right into the bathtub. Even though it was messy, she loved it and we got a lot of great pictures too! Thank you for another useful post! It’s definitely a good idea to have a budget for children’s birthday parties because it’s so easy to go overboard in trying to have the best for our children. We had a teddy bears picnic theme with a relaxed party in the park with close family and friends. I must admit though, I’m a big fan of invitations in the mail and there’s really cheap ones you can create on Vistaprint or just print them off yourself and hand deliver.